Volunteering on Projects Abroad’s Equine Therapy Project in South Africa is an opportunity for you to actively make a difference to the lives of disabled children while also working with animals. Our project partner is completely dependent on the assistance of volunteers, so the role you will play is a significant one. You do not need any previous experience and can join as part of a gap year, career break, or a vacation. 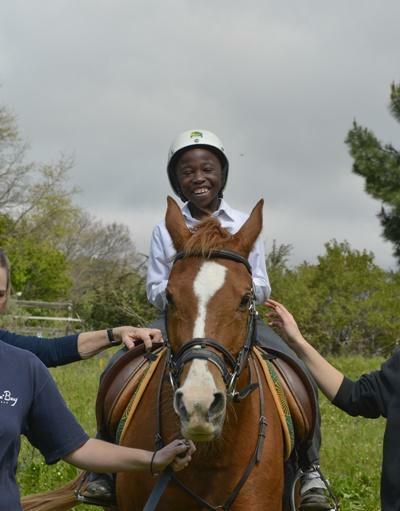 The project is based at the South African Riding for the Disabled Association (SARDA) in Constantia, Cape Town. It was established in Cape Town in 1973 and today, there are branches in Durban, Port Elizabeth, and several other towns and cities in South Africa. SARDA is affiliated to the RDA in the United Kingdom and the Federation for Disabled Riding International. SARDA’s goal is to provide therapeutic and recreational horse riding for disabled people so that they might benefit in all aspects of their mental, physical, and social lives. Every day, groups of up to 11 children travel from their homes and care centres to participate in therapy sessions. The children have various disabilities, including cerebral palsy, autism and Down’s syndrome. The centre exists as a result of teamwork and all instructors and helpers volunteer their time and knowledge. Without volunteers, the organization cannot function and the children will not be able to get the help they need. As an Equine Therapy volunteer, there are two roles you can fill during a class. The first is as a ‘leader’, where you will be in charge of the horses. This will be your sole responsibility. If there are no side-walkers (the person supporting the rider), the leader will keep an eye on the progress of the rider. However, the leader is not there to teach the rider. The second role is the ‘side-walker’, who acts as a bridge between the rider and the instructor. In this role, you help relax the rider, reinforce what the instructor is asking them to do, give support (either physical or mental), react if an emergency occurs, and build up a close relationship with the rider. Throughout your time on the project, you will work under the supervision of the stable master and other professional instructors, who will supervise all sessions. Due to the nature of the work, SARDA staff are strict and will ensure that you go through the necessary training before you start working. No previous riding experience is needed. A typical work week is from Monday to Friday, from 8:30am to 5:15 pm with a two hour lunch break. 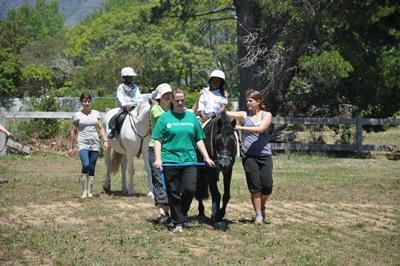 You can join the Equine Therapy Project in South Africa for two or three weeks if you don't have time to join us for four weeks or more. This project has been selected by our local colleagues as being suitable for short term volunteering for both the host community and the volunteer. Although you will gain a valuable cultural insight and work intensely within the local community please be aware that you may not be able to make the same impact as someone volunteering for a longer period.